Eurasia has witnessed an unprecedented decline in freedom of expression since 2011, according to Denmark-based NGO International Media Support, a non-profit organisation that works to support local media in countries affected by armed conflict, authoritarian rule and political transition. 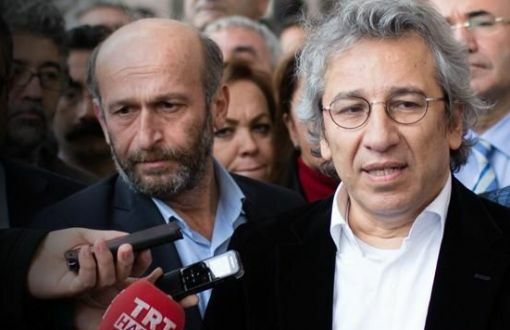 Can Dündar, the former editor-in-chief of Cumhuriyet, one of Turkey’s oldest and leading newspapers, narrowly escaped an assassination attempt outside a courtroom in May 2016 where he faced a possible five-year sentence on charges of leaking state secrets. He has since moved to Germany where he has established a media organisation called “Özgürüz”, meaning “we are free”. “I thought it was impossible to go back, decided to stay and work from Germany, and about a year ago I with a small team started a media organisation here, Özgürüz,” Index on Censorship quoted Dündar as saying. Index on Censorship is a London-based publishing organisation campaigning for freedom of expression. More journalists are in jail in Turkey than in any other country, and for many Turkish journalists the choice is either jail or moving abroad, Index on Censorship quoted Ahval editor-in- chief Yavuz Baydar as saying. “That’s an inevitable result of oppression in any country because as long as the conventional media are suffocated and put under the yoke of the powers, it leaves journalists with no other choice than leaving the profession altogether or moving abroad,” he said. Meduza, Amurburg and Spektr, Russia-oriented news portals, as well as MeydanTV, an Azerbaijani multimedia outlet in exile, Özgürüz and Ahval were some of the most successful examples of the media in exile from western Europe, Jens Uwe Thomas of Reporters Without Borders Germany told Index on Censorship. The first step journalists taken when setting up in Europe is usually to legalising their status, before starting looking for opportunities to establish their outlets, it said. Bektour Iskander, editor of Kyrgyz media Kloop, monitors exiled media and is in the process of creating a digital resource kit for them. He said media often cannot relocate abroad due to lack of financial resources or visas. The common thread for these media outlets is that while their editorial teams operate in exile, networks of journalists continue to work for them inside their home country. “Unfortunately, journalists and their family members are under pressure. The ones who work with us have been attacked, some tortured. Some parents of theirs were fired,” MeydanTV founder Emin Milli said. Lack of funding is another problem for exiled media as funding criteria often stipulated by international donors is that the medium be located in-country.